The Los Angeles Unified School District's "Village Mentoring Movement." The, "Village Movement," is an initiative created to positively impact the lives of young men of color and provide them additional academic assistance. High School and Middle School-aged young men are eligible to participate. The principal or counselor are generally responsible for the selection process. Young men who are struggling academically, experiencing high-volume absenteeism, or those who are doing well but could use some extra help getting college and career ready, are all excellent candidates for our program. 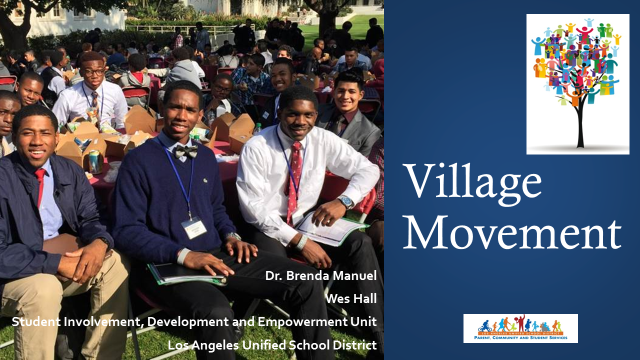 For more information about the Village or how to start a Village Mentoring Program at your school, contact Wes Hall, at wesley.hall@lausd.net (Wes Hall, heads the Young Men of Color initiatives for the Los Angeles Unified School District. Our series of conferences provide a great setting for young men of color from across the district to come together and make new friends. Break-out sessions, keynote speakers, food, and fun, are all a part of their experience. Hosting our conferences on college campuses provides an opportunity for young men who, heretofore, have not had the opportunity to visit a campus, a chance to do so. The "Village Movement," is a district-wide initiative that partners adult mentors with male students. Mentors meet with the young men once a month, in groups, and share motivational messages designed to help them be more college and career ready. 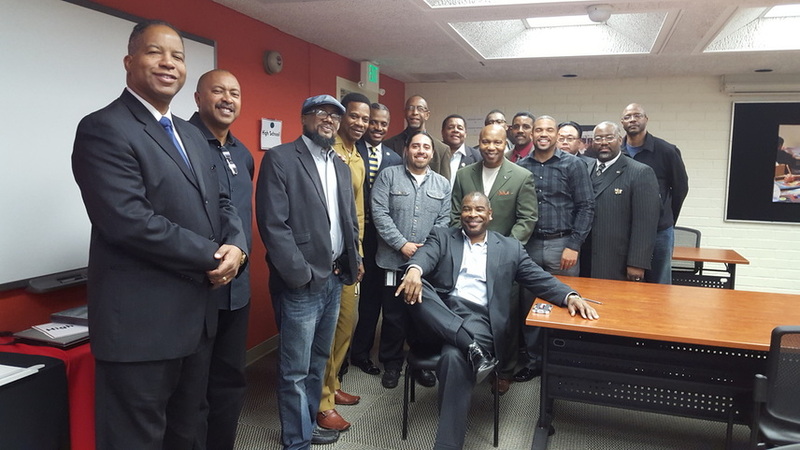 Our, "Gathering of Minds," male initiative, brings together men from throughout Los Angeles, to help identify ways to improve the academic achievement among our young men of color. The group is comprised of Corporate leaders, businessmen, community leaders, parents, and concerned citizens.